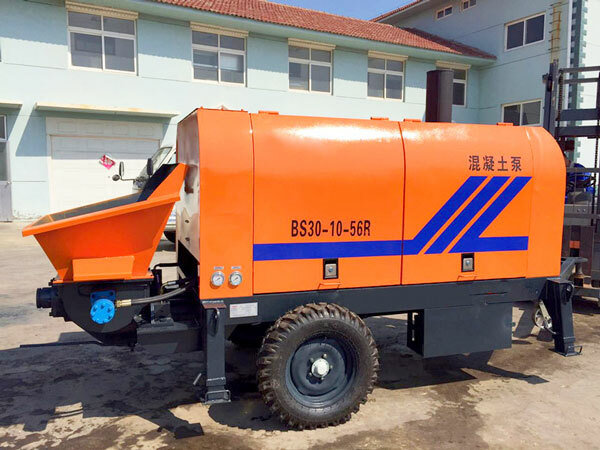 Concrete trailer pump for sale is installed on a towed chassis, if equip it with tires, it can be conveyed to the construction site by the motor tractor. 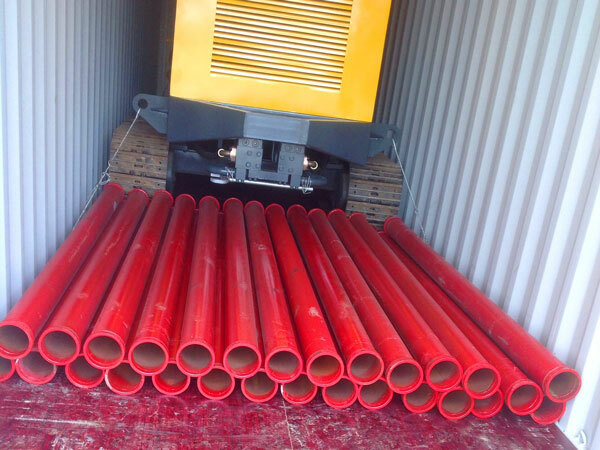 Trailer concrete pump for sale is made of pump body and delivery pipeline. 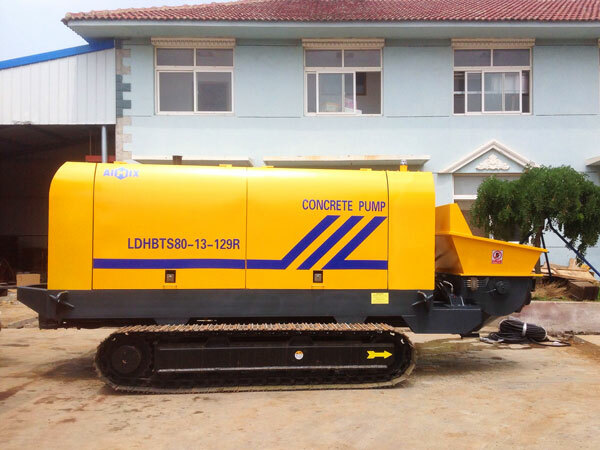 It is a kind of machine that by using pressure achieves the continuous delivery of the concrete along the pipeline. 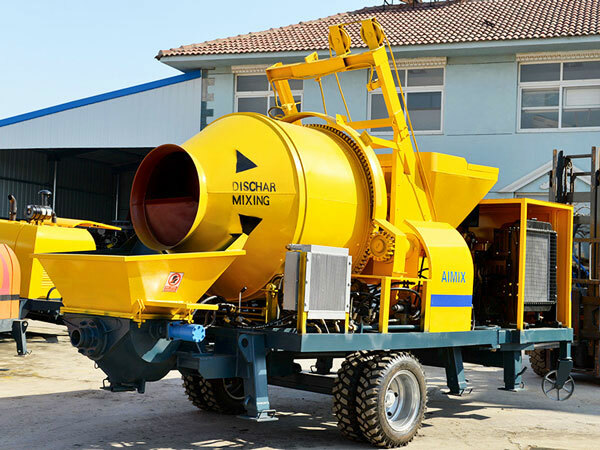 And trailer concrete pumps for sale are mainly used in house building, railway construction, road construction, water power engineering, mine project, national defense construction, highway construction, flyover construction, bridge construction and tunnel construction projects. 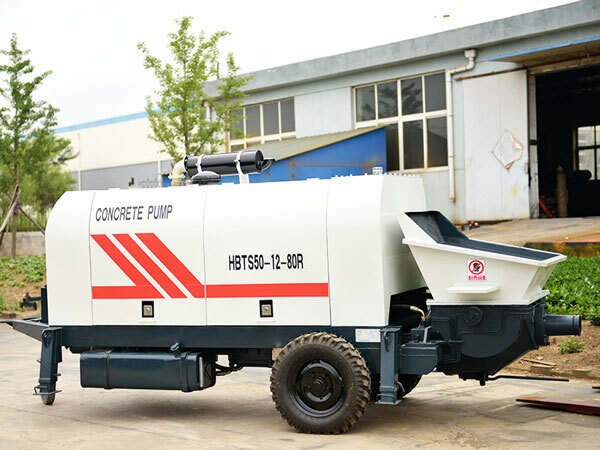 Concrete trailer pump can be divided into diesel type and electric type. 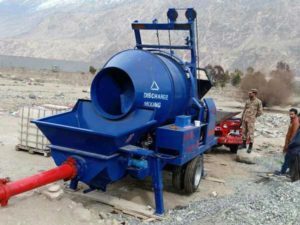 And this page aims to introduce cement pump trailer that pump body is equipped on the automobile chassis, and there is elastic and tortuous concrete placing boom assembled. 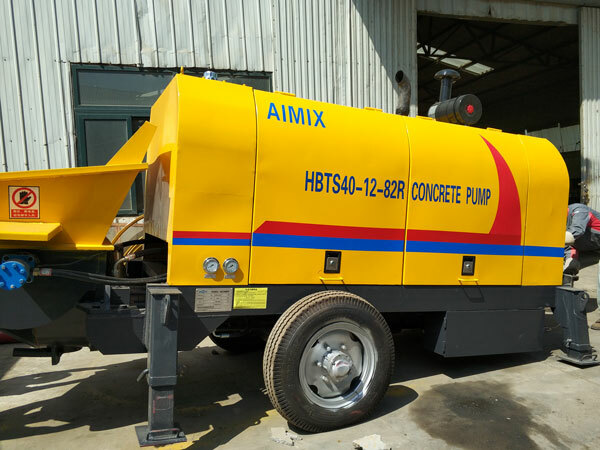 As one of the most professional trailer concrete pump manufacturers, we mainly have electric trailer concrete pump of HBT20, HBT30, HBT40, HBT50, HBT60, HBT80, HBT90 and diesel trailer-mounted concrete pumps for sale of XHBT-25SR, XHBT-30SR, HBTS40-SR, HBTS50-SR, HBTS60-SR, HBTS80-SR and HBTS90-SR for your selection. 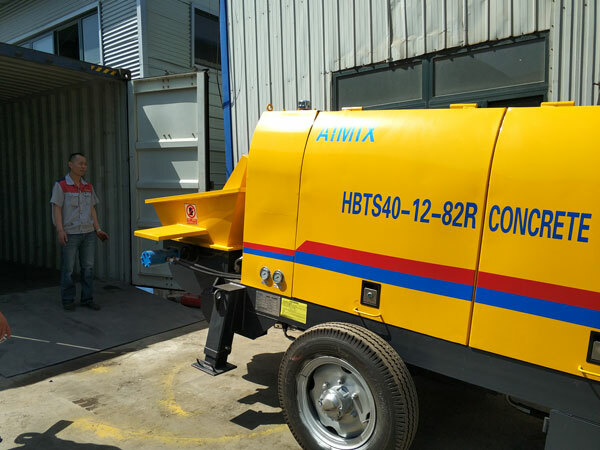 Take HBT60 trailer mounted concrete pump for example, let’s have a detailed understanding about the compositions and working process of the trailer mounted boom concrete pump. 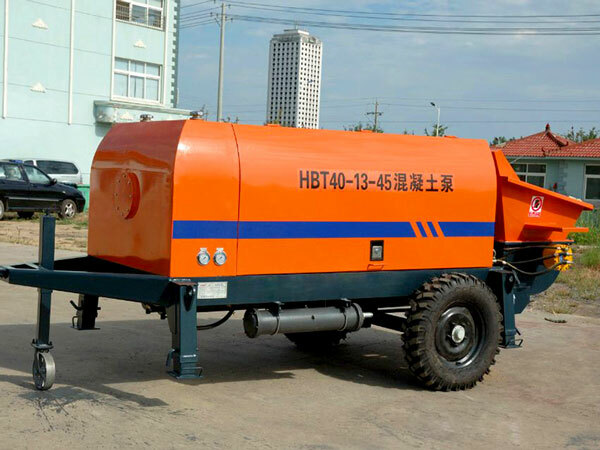 HBT60 concrete trailer pump for sale consists of hopper, pumping system, hydraulic system, clean system, electric system, electrical machine and walking chassis. When towable concrete pump pumps the concrete, two concrete pistons are connected with piston rod of the main oil cylinder respectively, under the action of hydraulic oil of the main oil cylinder, do the reciprocating motion, one cylinder goes forward, and another one retreats; the exit of the concrete cylinder is connected with hopper, one aspect of the distribution is connected with discharge mouth, and another aspect is connected with swing arm through the spline shaft. Under the effect of the swing cylinder can achieve swing from side to side. 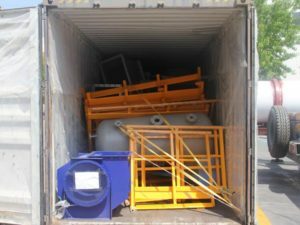 When the concrete piston retreats, concrete in the hopper will be inhaled into the concrete cylinder, when the concrete piston goes forward, the concrete in the concrete cylinder will be conveyed to the distribution valve and be pumped out. When the concrete piston backs to the terminal, strike the reversing device of the water tank, main oil cylinder reverses, meanwhile, swing cylinder reverses and connects the distribution valve and concrete cylinder, connects concrete cylinder and hopper, at this moment, the piston retreats and goes forward, repeat in this way and achieve continuous pumping. 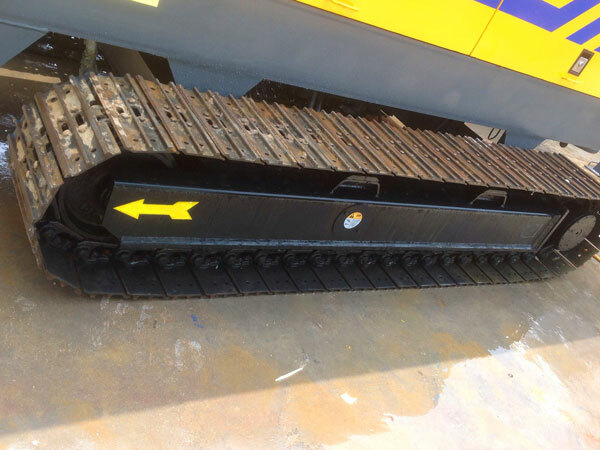 Withdraw the concrete of the pipeline to the hopper. 2. 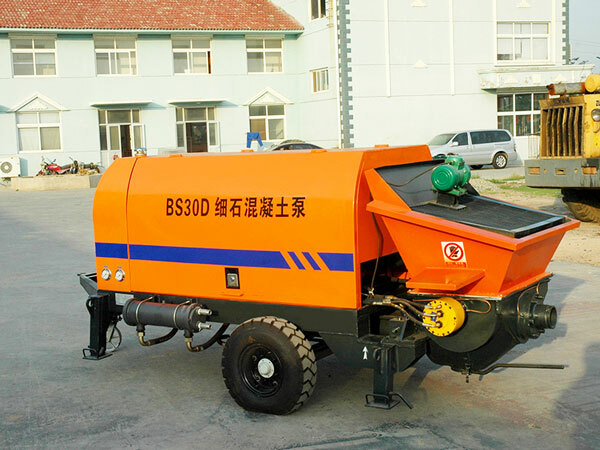 When clean the trailer concrete pump with boom, to clean out the raw material of the pipeline, although the reverse operation is not conducted often, this operation plays an enormous effect when the concrete pipeline is plugged. 6. 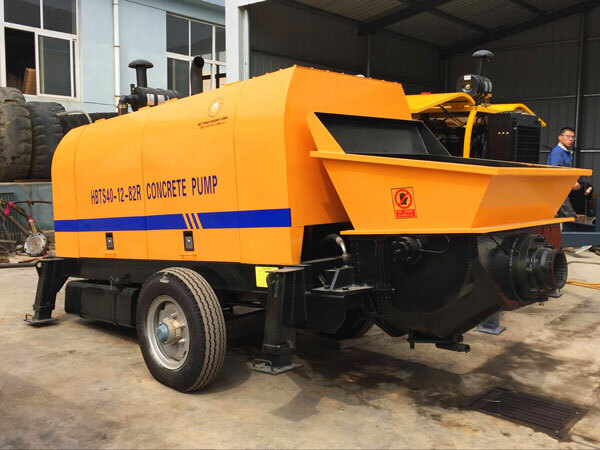 Our concrete trailer pump for sale is cost-saving and environmental protection. 8. 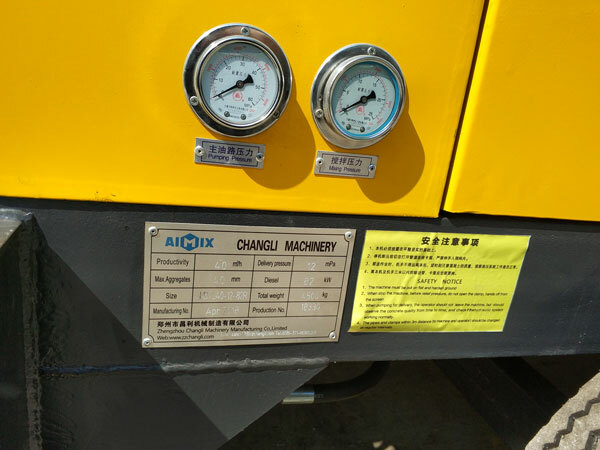 Cooling system adopt forced air cooling radiator device, which ensures the working oil temperature of the hydraulic system is under the 70 centigrade and ensures the hydraulic system of the main engine is in the normal function. With the development of economic globalization and foreign trade, our company has seized the chance and goes out. 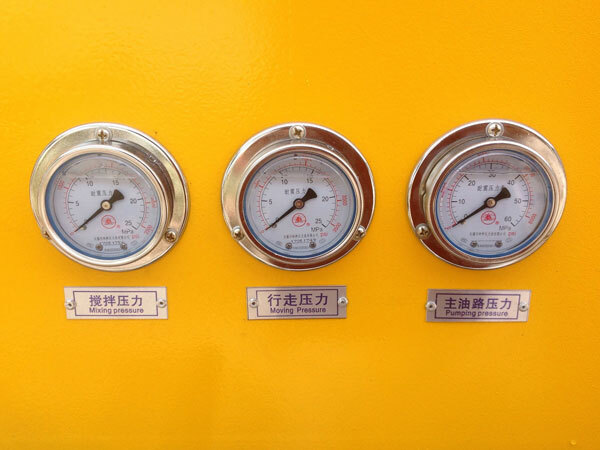 Our concrete trailer pumps for sale have been exported to many countries. 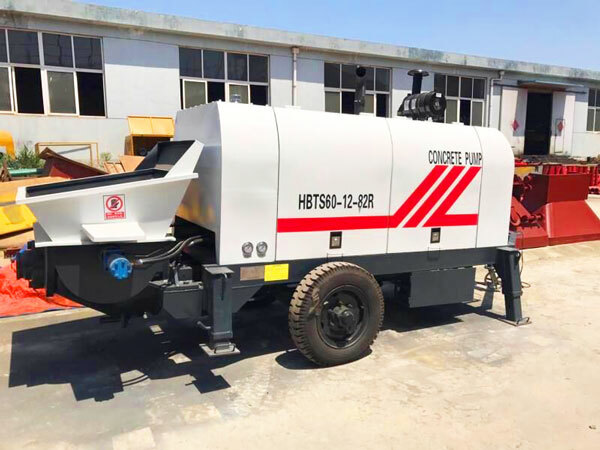 What’s more, we have established a friendly business relationship with so many foreign countries, such as Pakistan, Russia, Algeria, Sri Lanka, Philippine, Botswana and so on, and our trailer concrete pumps also have won good reputation from our customers. As the years went by, till now, we have almost 2300 employees, including over 55 engineers, about 190 professional technicians, 900 skillful workers, salesmen and documentation specialists. We aim to build global industrial products one-stop service platform. 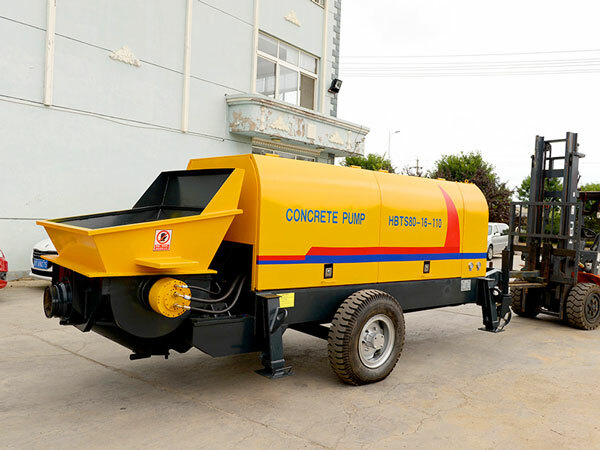 And we will not only offer you superior trailer mounted concrete pumps, but also the most considerate service. 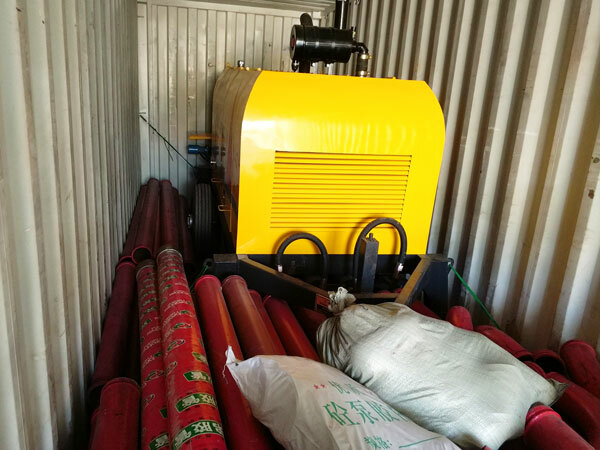 If you need trailer pump for sale, welcome to visit our factory and office, we must customize a best pump trailer for your project, give you latest quotation for trailer concrete pump.